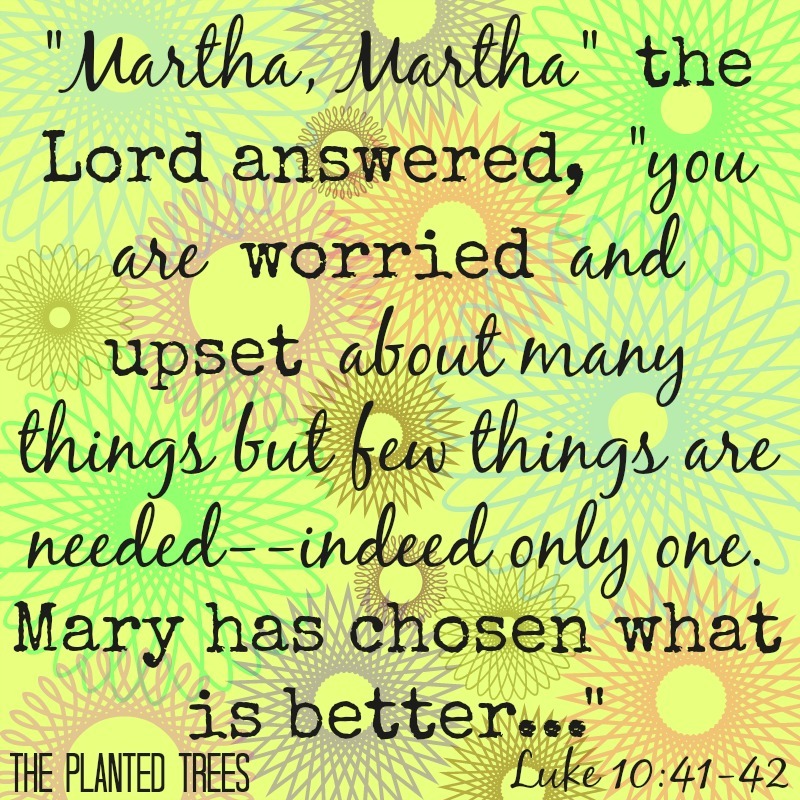 The story of Mary and Martha from Luke 10:38-42 is one that is familiar to most women. It is generally used to show the difference in the focus of the two: Mary focused on Christ and Martha focused on earthly concerns. While this story has nothing to do with homeschooling, it is one of my favorite Bible passages that inspires, teaches, and encourages me as a homeschool mom. All too often I find myself on the Martha side of the equation. In fact my overwhelming Martha tendencies led me down the path to learn how to be more of a Mary. 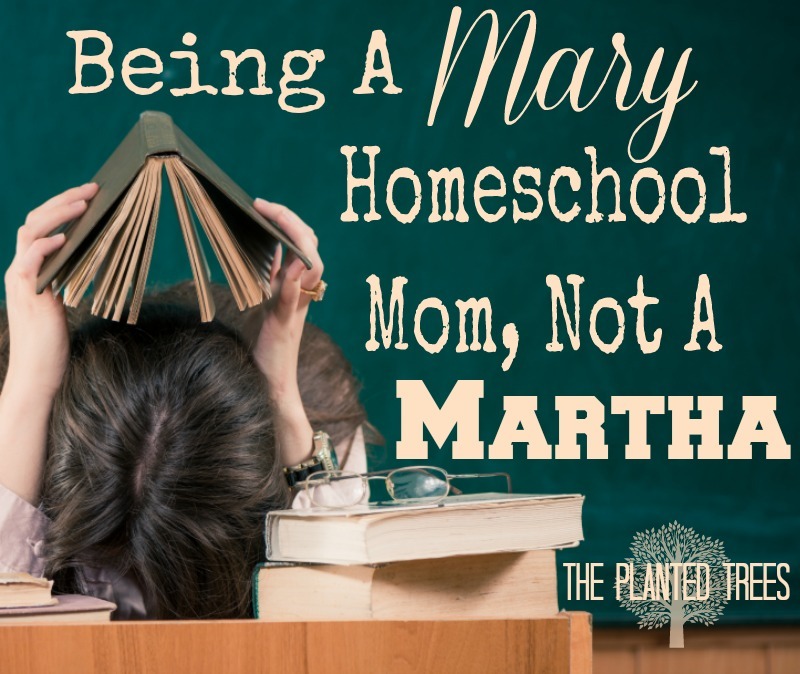 So what would Mary and Martha be like if they were homeschool mothers? Makes her homeschool one of deadlines, worry, and stress. After reading these lists, I still find myself with a majority of affirmatives on the Martha side. But the wonderful part of Mary and Martha’s story is that Jesus doesn’t condemn Martha for her request for assistance. 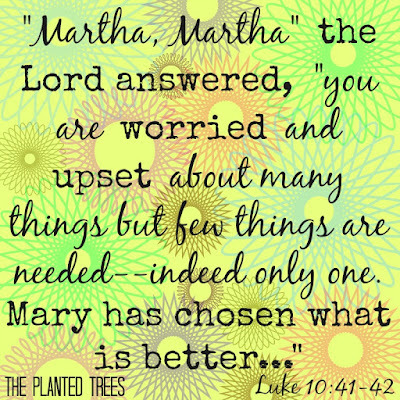 Jesus merely tells her that what Mary is doing is better, more important, than Martha’s concerns. I believe the same is true of Homeschool Mary and Homeschool Martha. Martha’s focus and concerns are not necessarily bad, but they aren’t as beneficial and eternity-focused as Mary’s. That thought helps this Martha breathe a sigh of relief. I can still be a Martha; I just need to choose the good. Sit at Jesus’ feet more. Alter my focus more. 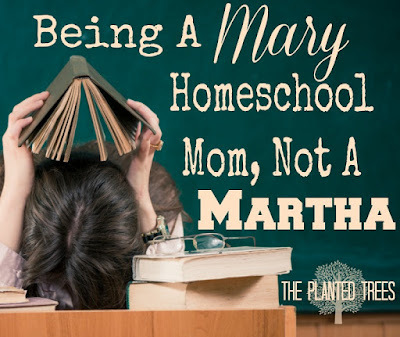 I need to focus on being a Mary more every day because there is something better out there for my homeschool and my children if I choose to be Mary. 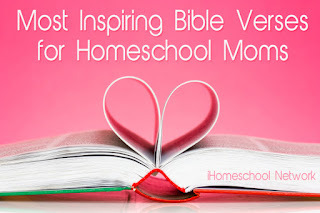 What Bible verse has been the most inspirational in your homeschool journey?